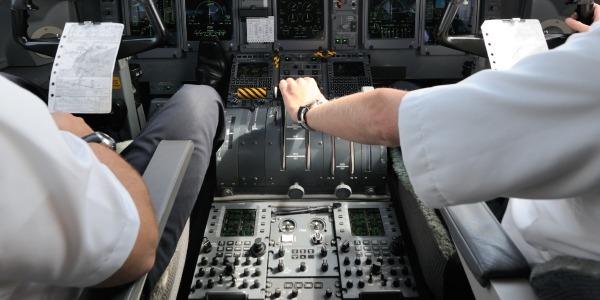 You eventually figured out that no pilot has the time or mental capacity to monitor every indicator. Instead, he focuses on a few key indicators, and refers to the others only in the event of a problem. In many ways, an executive is like a pilot. He can also be overwhelmed by the number of metrics and the volume of data at his disposal. And like a pilot, he needs to understand which of those indicators are critical and which are only important in the event of a crisis. Maybe because the crash of an airplane is such a stark and horrible situation, pilots just do not question the importance of using their control panels. They would never rely on intuition alone to fly their planes. On the other hand, they wouldn’t try to use every indicator either, for fear of being paralyzed by the information overload. However, as compelling as the control panel analogy is, many executives insist that they can fly their organizations without using such a tool, and instead rely on gut feel alone, or even worse, reactive management, trying to utilize every piece of information at their disposal. This failure to use such a simple but powerful tool is tragic when one considers the three primary benefits of it. First, a radar screen allows an executive to quickly and effectively assess the progress of the organization that he leads. Ask an executive how things are going for the company – I do this regularly in my consulting – and too often this is what you’ll find. First, the executive will frown as he reflects on the question. He may be considering his mood that day, the last meeting he attended, or recent conversations with employees. In contrast, ask a pilot how things are going and he’ll check his key gauges and tell you in no uncertain terms that things are right on track. Or, heaven forbid, he’ll say, “there is a problem here”, and he’ll refer specifically to one of his indicators. Now, running a company is not as objective or definitive as flying a plane. There are different complexities involved, and measuring success is not as simple as landing safely. There are shareholders, customers, employees, competitors, analysts and the press to consider, all with different needs. Maybe that’s why there is no excuse for an executive not to use a radar screen – the complexity alone demands it. The second reason for using a radar screen is to help an executive appropriately prioritize his time and attention. There are so many potential activities and distractions pulling at an executive that without a tool to anchor him to what really matters, he can easily find himself spending time on things that don’t really drive the success of the organization. That is not to say that executives are not intelligent enough to figure out what matters. When faced with an onslaught of requests and demands, even the most disciplined and focused leader can lose his way if he isn’t using a tool that brings him back to center. The final reason for using a radar screen may seem trivial, but anyone who has run an organization will vouch for its importance. What I am talking about is peace of mind. When a leader goes to bed at night, his head is so full of both major and minor concerns, statistics and agenda items that even the deepest sleeper might find himself watching Nick at Nite at 3:00 a.m. By using a radar screen, he can categorize his priorities, assign them to a manageable number of buckets, and leave any remaining distractions behind. This allows him to “rest” knowing that the right items will receive his attention when he wakes the next day. Of course, it might keep him from watching his favorite Laverne & Shirley re-runs.